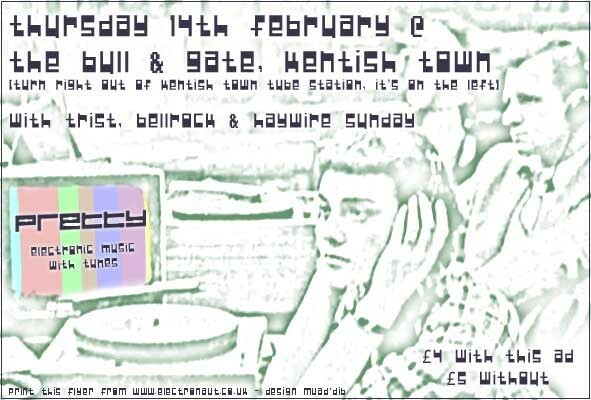 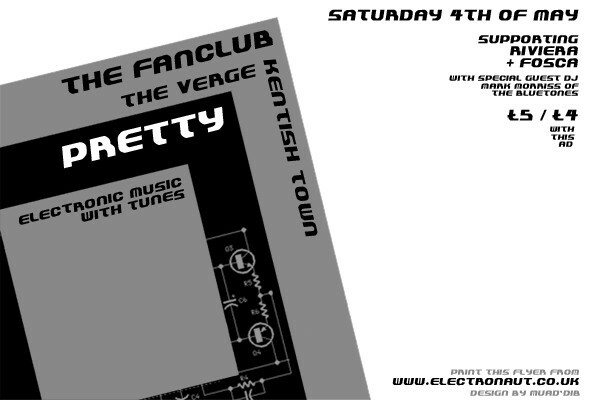 Flyer for a very good electronic band called pretty and their record label electronaut.co.uk. 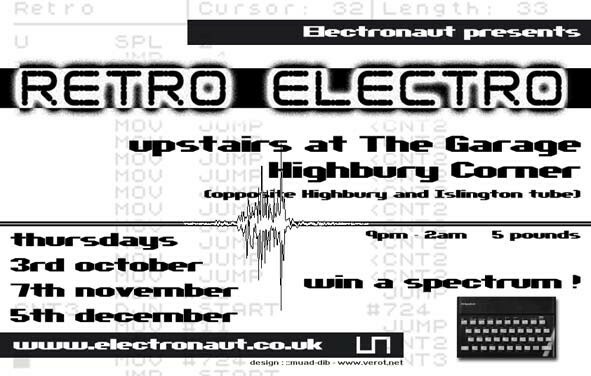 This gig was organised in Cambridge, UK..
Flyer for the record label electronaut.co.uk. 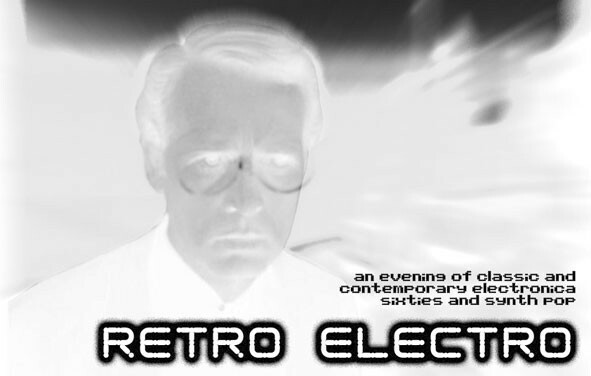 They were organizing the now famous RetroElectro parties in London. 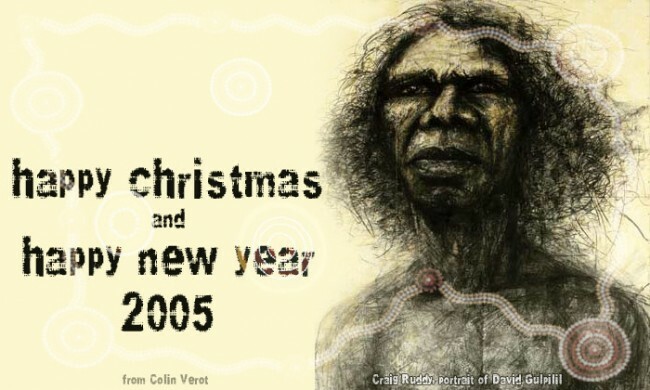 A New Year postcard for the year 2005, based on a drawing of David Gulpilil, by Craig Ruddy, and some in-print of Aborigenal artwork. 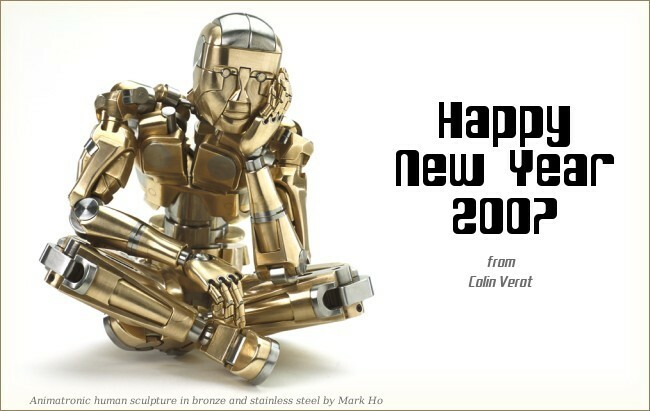 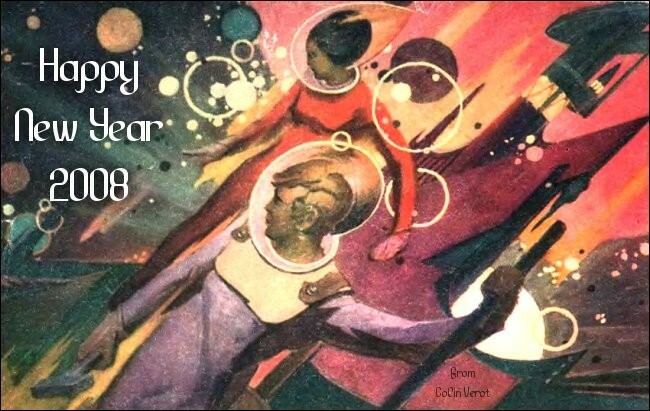 2009 New Year postcard, based on a wonderful artwork produced decades ago for an IBM users group called World Alliance VSE VM and Linux. 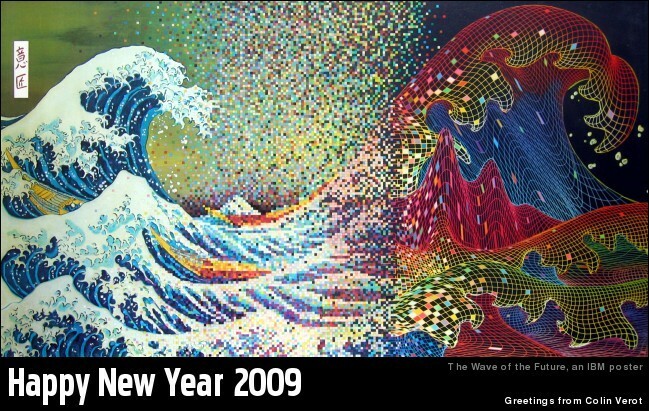 Of course, it is based on The Great Wave off Kanagawa by Katsushika Hokusai.